Kajiwara Takeo (梶原 武雄, 25 February 1923 — 28 November 2009) was a Japanese 9-dan professional Go player affiliated with the Nihon ki-in. His book Ishi no Houkou (石の方向) has been published in English translation as The Direction of Play. In the English versions of the book, the author's name is in the Western order (given name, then family name), Takeo Kajiwara. He is famous for his uncompromising search for the truth on the go board. He is well known for his prolific joseki inventions, and held a particular fondness for sacrifice josekis. When Kitani Minoru became ill and was unable to carry out his teaching duties at the Kitani Dojo, Kajiwara became the principal teacher at the dojo, with pupils such as Ishida Yoshio, Kato Masao, and Takemiya Masaki. A story entitled The Clam Shells are Heavy in Nakayama's book The Treasure Chest Enigma gives a glimpse of Kajiwara's character. His teacher was Sekiyama Riichi. 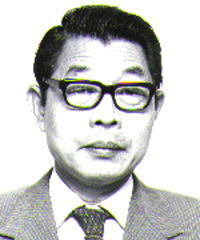 He challenged for the Oza in 1964, losing 0-2 to Sakata Eio.